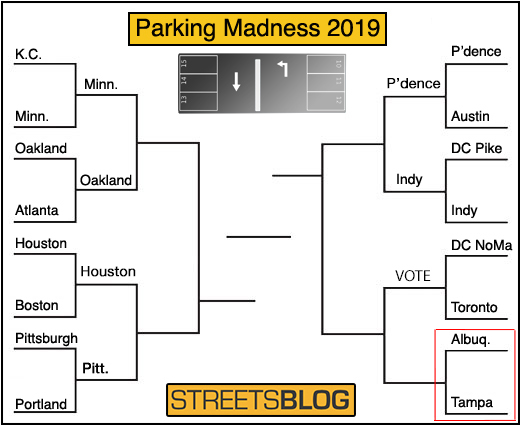 This is the last matchup of the first round of Parking Madness 2019, examining the most improved parking craters across the U.S.
Today’s contestants, two Sun Belt cities, show that it isn’t just large coastal cities seeing a pattern of infill development on former parking lots. It’s a hopeful national trend. Also, remember voting is still open for D.C. vs. Toronto. 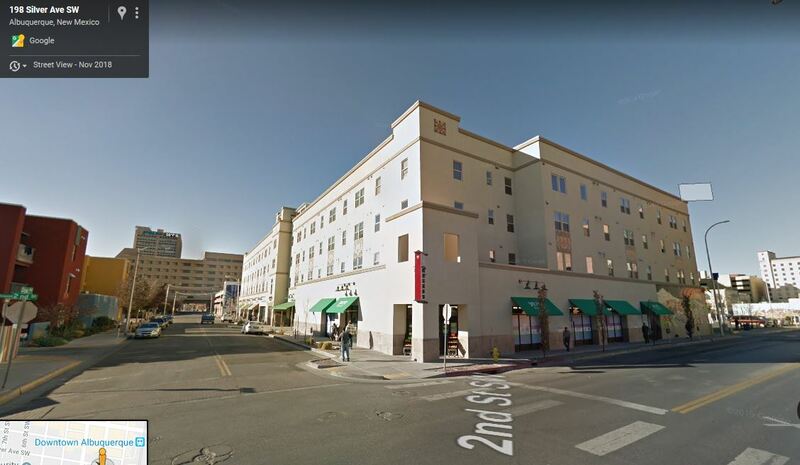 This parcel (205 Silver Ave. SW) is only two blocks south of Central Ave., our main street, in downtown Albuquerque. Like many U.S. cities, urban renewal devastated our built legacy, replacing fine grained urbanism with parking lots and a couple ugly office buildings. The City of Albuquerque collaborated with an affordable housing nonprofit and private developers to complete this project. Most of the 74 apartments are income restricted and the ground floor is open for commercial tenants, with a grocery store currently occupying the largest ground floor space. Downtown ABQ is still struggling and a taproom that was occupying one of the commercial spaces already closed down. It seems like rent may be unrealistically high for the ground floor, but the grocery store and the pharmacy seem to be doing ok. No project is perfect, but I still feel this is a huge improvement on an empty parking lot! Trading an ugly surface parking lot for affordable housing and a grocery store? That is pretty great. 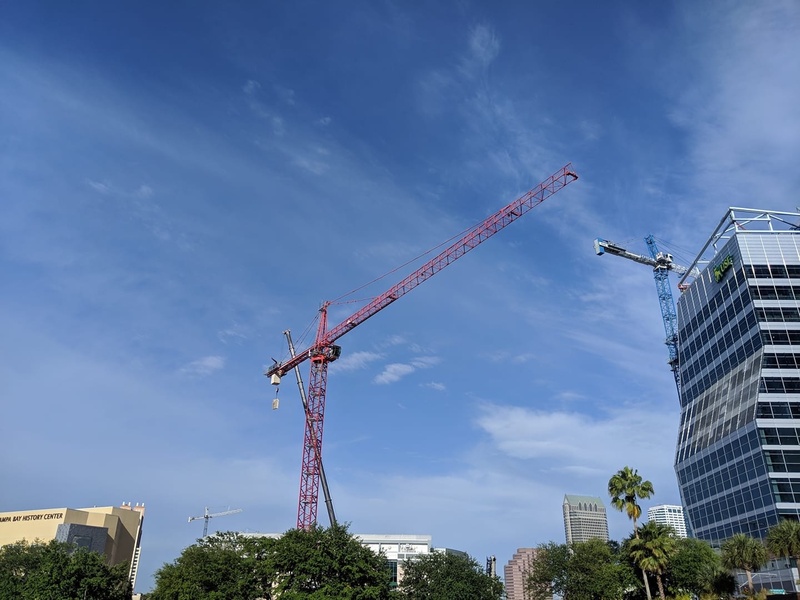 The below photos show the before and eventual after of “Water Street Tampa,” a 53-acre mixed use development for the waterfront area in downtown. 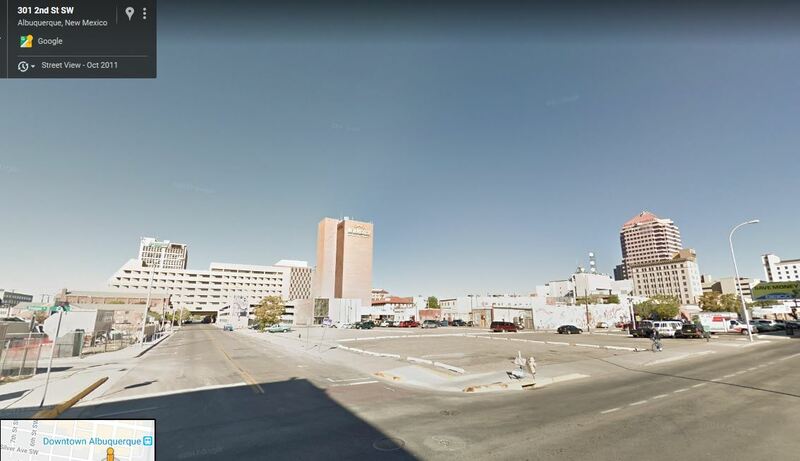 The project will include 3,5000 apartments and condos and 1 million square feet of retail and entertainment space, according to a spokesperson for the development. It will also include 13 acres of public green space. Right now construction has begun on some street and utility work that will make the development feasible, according to a spokesperson for the development. 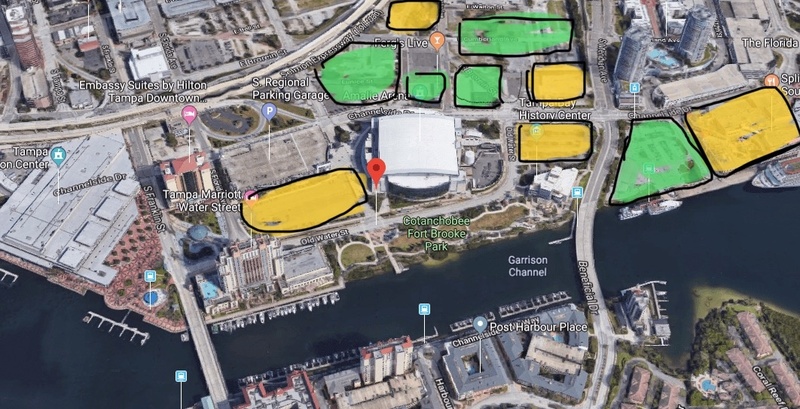 It will replace some 16 blocks of parking lots and give Tampa residents a walkable residential option that was previously lacking. The design specifically aims to limit the space given to cars. Here’s a photo of the construction. 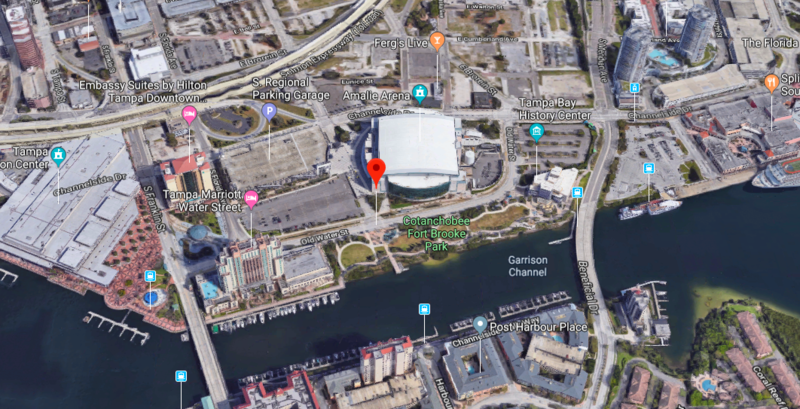 One of the big investors is Jeff Vinik, the owner of the Tampa Bay Lightening and a key backer of Hillsborough County’s recently passed transit and complete streets referendum, which aims to make the region’s transportation system less dangerous and congested. Hard to give the vote to an unbuilt project. Great website though. The medical school is topped out the first residences designed by KPF have foundations, the JW Marriott is on floor 12, and existing retail is being rehabbed to be mixed use. Their funding comes from Cascade Investment and Bill Gates so they are fully capitalized it’s not going away like the projects you described. This shows what’s under construction (yellow) and what will be in the first phase (green). There are two more phases planned after. Every single building is mixed use with retail at the ground floor and the middle of one parking lot will be Water Street, where transit and walking has 3x the space of cars. This kind of work is unheard of in Tampa. It’s all under construction, it’s happening now with the first high rise set to open this winter. They are building an upgrading at a rapid, almost un-heard of pace for this size of project. Nice! What a gamechanger. Go Bolts. Go ABQ! It’s worth noting that this whole area is changing and developing as a part of the broader Central Avenue Bus Rapid Transit project. Though the buses still haven’t arrived (one day hopefully) there is millions of dollars worth of development happening within a few blocks of this corridor, old Route 66 and our Main Street. It’s mostly hotels and apartments, with some mixed use here and there. Thanks this is a great. It’s fun to have a year of good news!